As seasons change and crops change, so should the food on our plates. In summer, it’s easy to fill smoothies with fruits and the plate with leafy greens. But as the weather cools down, the crisp & refreshing raw foods don’t sound so good anymore, do they? With temperatures slowly dropping off, our foods tend to heat up. 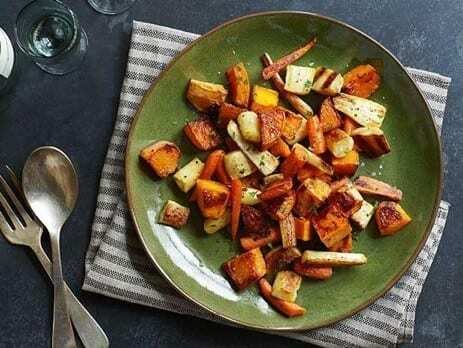 We may start craving warm roasted root vegetables, tender chicken, spicy chili, and hot tea. This taste-bud transformation happens because our bodies are quite in tune with the seasonal shifts. So let’s listen up to our senses and eat the seasonal foods that fall supplies.